How’s it going? We are happy to get back to you today and glad to announce that the phpFox Mobile App version 1.3 has been officially released. Before talking more the mobile version 1.3, we would like to share with you some compelling updates about our mobile apps. 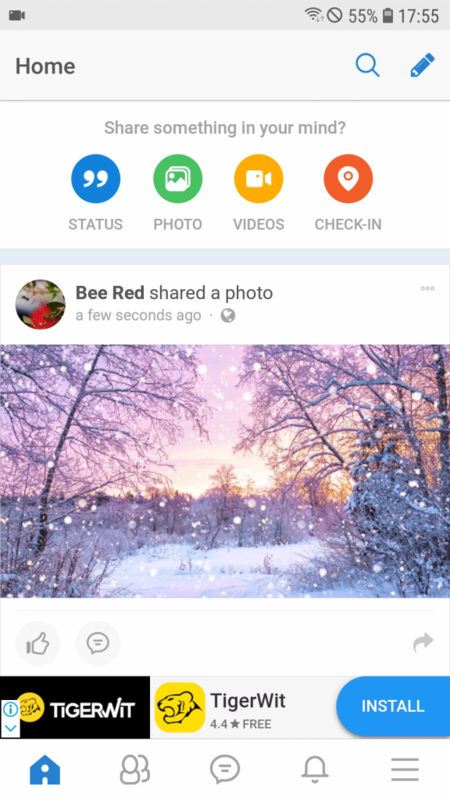 The mobile app version 1.3 support displaying ads by Google Admob. Mobile Ads can be configured easily in AdminCP. You can have either banner ads displaying on top or bottom or full-page ads (Interstitial, Rewarded type) of specific pages on mobile apps. You will see that many ads settings are supported, such as which location and how often ads display, ads priority, etc. We always do care about the Performance, design, and user experience on phpFox mobile apps. In the aspect of performance, we improved the loading speed of both app and user content. We also use Lazy loading that the images are only loaded whenever they need to be displayed. These improvements and other native animations added make the phpFox mobile apps work obviously smoother and faster. We totally understand that 3rd-party phpFox apps are a very important part of every phpFox site as they help fulfill more functionalities. We have received many questions about how 3rd-party apps could work on phpFox Mobile Apps. In mobile version 1.3, our team has been working really hard to design and implement a mechanism for integration solution. Any 3rd-party experts can merely add necessary APIs to their phpFox apps to make their features work on the phpFox Mobile app. It is amazing, isn’t it? The detailed Development Guide has been prepared and will be published on phpFox Developer Documents very soon. 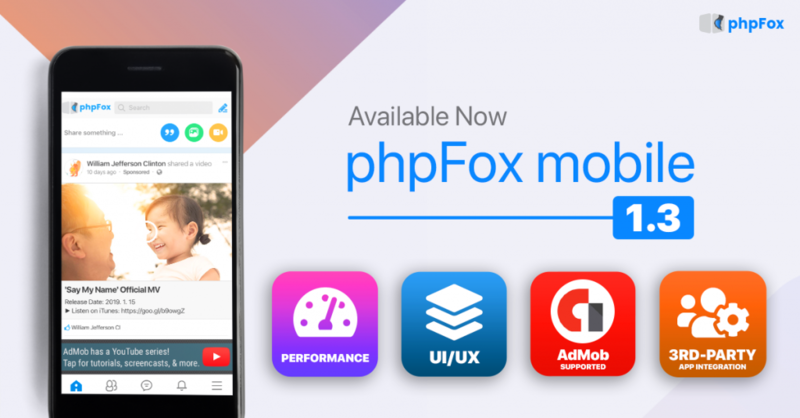 It is necessary to note that the phpFox Mobile app version 1.3 is released along with Mobile API 4.2.0 and RESTful API 4.2.2. Please do not upgrade Mobile API if you are using Premium Mobile apps version older than mobile version 1.3. You can open a Mobile Build ticket in Client Area to request for Mobile upgrade from now. Have other suggestions? Please don’t hesitate to share with us. – Change App Launch Screen, App Icon, Logo, etc. – Distribute mobile apps to Apple Store and Google Play under your Developer account.